Wow, it’s been about a year since I got my X-Pointer pinpointer by Deteknix, so its time for an update on its performance. I haven’t had any issues with it at all, and the only maintenance I’ve had to perform is changing the battery. It’s still the best darn pinpointer I have ever used. It doesn’t false or interfere with my machine, and depending on soil conditions, its depth range is great, and from my experience, better than its advertised range. I’m extremely rough on my gear, and was afraid I might damage it, but even with my non-dainty digging style and frequent use, its still going strong. Cosmetically, it does look as beat up as the rest of my detecting gear, (if you saw the current state of my detector, you would totally understand), but that’s just a testament to its durability. For those of you that are budget conscious and need a durable, quality pinpointer that doesn’t false and is available at a reasonable price, the X-Pointer is the way to go. I just love it when a product exceeds my expectations! 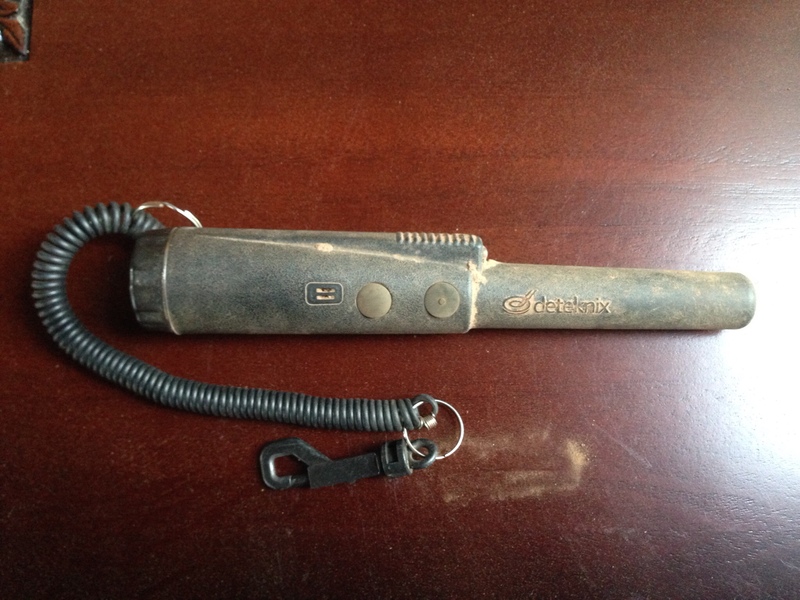 You can purchase an X-Pointer at Gold Digger Metal Detectors. You can purchase one elsewhere too, but from my experience with Golddigger, and its owner Ron DeGhetto, you’ll be pleased with anything you purchase from them. They are nice people, have great customer service and ship fast! I have one also and am very impressed at its performance !